*If you are heading to see Kevin Hart please take note from the tour. No usage of cell phones, tablets, Apple watches or similar devices will be allowed within the seating area. No exceptions will be made to this policy. Any attendees found using any of these devices in the seating area will be ejected from the arena with no refund provided. If attendees wish to use these devices at any time, they may do so in the concourse. 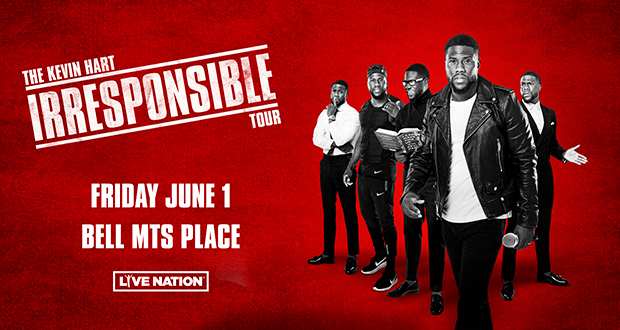 Kevin Hart announced he is expanding his widely successful and massively hysterical ‘The Kevin Hart Irresponsible Tour,’ adding over 100 new dates across the U.S., Canada, Europe, Australia and Asia. Produced by Live Nation, the new dates will kick off March 23 in Baltimore, MD and hit all new cities including New York, Atlanta, Chicago, Toronto, Paris, London, Sydney, Auckland, Singapore, and more. Tickets on sale January 31.